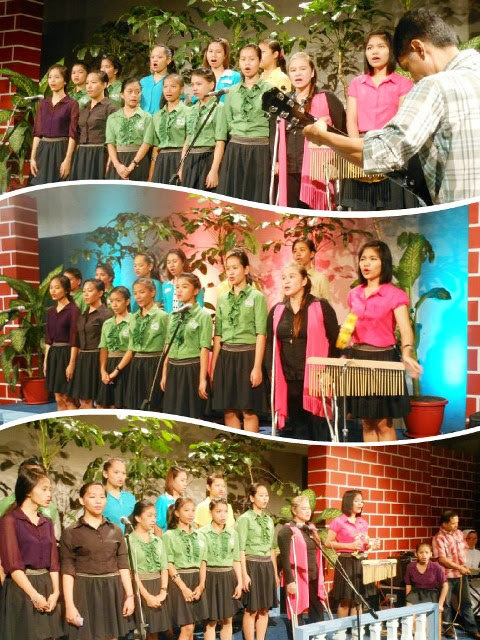 In celebration of the National Children's Month, our very own homegrown songbirds, Voice of VIDES Choir, was invited to sing during the Holy Mass celebrated last Sunday, 06 October 2013, at PTV Channel 4, the country's national television station. Their angelic voices were accompanied by the guitar of their trainor, Mr. Arnel Sibolino. On keyboards were VIDES Philippines Delegate Sr Jojo Carrasco FMA and volunteer Simonh Bries. VIDES volunteer Amy Suzara also complemented the girls' lovely voices. Cheers to the Voice of VIDES Choir! 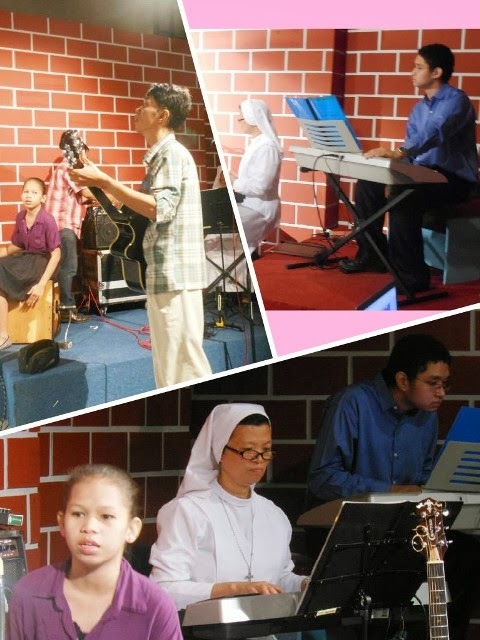 Continue sharing your talents and continue singing for the glory of God!